Mafair UMC: Sabbath of JOY! The "Sabbath of JOY!" 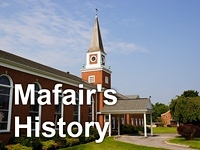 worship was held at Mafair UMC on February 10, 2013.